This Candied Jalapenos post was originally published on May 23rd, 2010. It remains one of the most popular recipes from Foodie with Family. Try it out and find out why everyone loves Candied Jalapenos so much, and if you need independent verification, read the many happy reviews in the comment section below the post. By this point, you might know me well enough to know what affect that statement has on me. I quizzed her on the texture, flavor, and appearance of the jalapeno rings. I begged for photographs. I had her send me a picture of the ingredient list on the label. I asked her to describe the flavor to the very best of her food blogging abilities. She was game. She provided all the information. After carefully examining close to thirty recipes on Candied Jalapeños, also known as cowboy candy (who KNEW there were so many people candying jalapenos?) I called my local Cooperative Extension office to pick the brain of their home food preservation specialists. Since jalapeños are a low-acid food, some precautions need to be taken when canning them. You have two choices for safely canning peppers of any kind; you can pressure can them or you can acidify (i.e. add vinegar, lemon juice, etc…) the liquid in which you pack the peck of pickled peppers. I opted for acidifying the pepper liquid. I wanted to maintain some of the texture of the peppers through the process because pressure canning Candied Jalapeños would turn them to flavorful mush. The result was gobsmackingly, head-spinningly, brain-addlingly delicious. Sweet, spicy and savory, Candied Jalapeño rings are way too easy to eat on just about everything. I’ve stashed them in sandwiches, chopped them up on baked beans, tucked them into tacos, used the syrup to brush meat on the grill. You’ll find them perched on top of a cream cheese laden cracker and all sorts of other evil things at our house. For such a simple thing to can, these pack tons of flavor. You’re going to want to make as many Candied Jalapenos as you possibly can simultaneously. Because once that first jar is cracked open you’re not going to be able to stop eating them. And I mean that. I am not kidding with you when I say that I barter with jars of these for valuable goods. Candied Jalapeños have fed my fine pottery addiction because my favourite local potter is as Candied Jalapeño fixated as I am with her pottery. Hate canning? Afraid of canning?For those of you who may be freaking out slightly or massively over the idea of canning, rest easy. You can follow all of the instructions up to the actual canning portion, then stash the jars of candied jalapenos in the refrigerator for up to three months. You get a year out of canning, but if an alternative is all that stands between you and making them, use your chill chest! Wear gloves when working with the peppers. Not a wimp? Neither am I… but jalapeños have a notoriously wide range of heat on the Scoville scale. Let’s address slicing the peppers, because we’re going to be going through 3 pounds, folks.The quickest, easiest way to do so is with a slicing blade on a food processor, standing the peppers on their ends in the feed chute. No food processor? Use a mandolin! No mandolin? Just take your time and slice by hand with a very sharp knife and gloved hands. I’ve been asked many times whether you should discard the seeds. I don’t because we like them.Contrary to the old wives’ tales, seeds do not contain the heat of a pepper. The membrane inside the pepper packs the most punch.Since you’re not removing that, don’t sweat the seeds. Heh. Pepper humour. Quite a few folks have asked WHEN exactly to start timing the boiling of the peppers. You begin timing them once the liquid has returned to a full rolling boil.As soon as it reaches a full rolling boil, reduce the heat to a simmer and let it simmer gently (gentle bubbles that blub up) for 4 minutes. To clarify further, you will not be boiling them HARD for 4 minutes, you will bring them to a boil then drop the heat and simmer. Many, many people have asked me whether they messed up the recipe because their peppers look all shriveled after simmering them in the syrup, packing them in jars, and canning them. The short answer is no.The long answer is that you’re fine and they WILL look shriveled when you jar them up if you’ve simmered them properly. They will re-plump as they spend those 4 weeks of rest time in the jar between processing and opening. Yes, I said 4 weeks. My husband has been known to crack a jar at the two week mark out of desperation for candied jalapenos, but he will absolutely agree with me that they improve immensely in flavour and texture when left to mellow for at least 4 weeks after processing.Try to be patient. You’ll be rewarded. How to serve candied jalapenos? On cream cheese and crackers, obviously… On sandwiches, on salads, chopped up in dips, on taco soup, on tortilla soup, on tacos, on pizza…The sky is the limit. I kind of suspect my husband would eat them on breakfast cereal if he didn’t know I’d wonder about his sanity. Are you worried it will be too difficult? I promise it isn’t! In fact, I have this video to show you just how easy the process is! Check it out! Want more Food Preservation recipes like Candied Jalapenos? Try these! Originally posted May 23, 2010, updated in March, 2015 and July, 2017. I am sending this to my mother-in-law as soon as I finish typing this. She would love these. I’m not a fan of the pepper (sorry) but I’m hoping I can get her to make them and send some to my hubby! Thanks for the recipe! Lisa, I’m not a fan either…but these are delicious..especially on a cream cheese- covered cracker. I want these so much. Man. “The Evil Genius declared it to be ‘A Second-to-Naanwich’.” I am sure that he did. Hahahahaha. these look wonderful! Must try them this weekend. Thanks! Did you try them? If not you really need to haha, I did wow, their the bomb! I love anything spicy and pickled/candied etc. This is great I am sure I can eat it by handfulls… a must try. We could get great cowboy candy at a little farmer’s market outside Houston Texas. Now we have moved and I miss it! Thanks for this recipe. My Father in law always has an abundance of jalapenos in his garden and I can’t wait to snag some this summer for homemade Cowboy Candy. We usually eat them with just tortilla chips. I love these things. I have been addicted for a while. Thanks for sharing the recipe. I was wondering how to can them. I was wondering if the tumeric, granulated garlic, celery seed and cayenne are necessary? I am sure you have checked and this is the correct amount of vinegar to use? Also, where do I find the recipe for the rest of the sandwich? Hurry and post the rest of the recipes for this wonderful looking sandwich. Our mouths are watering! Made these a little over two weeks ago….couldn’t wait to try them. OMG! I could eat a whole jar with just a bite of cream cheese and wheat thin. Can’t wait to try them on a burger. Best find of the season! Thank you for sharing! I couldn’t imagine eating a hamburger without them. I’m so glad you like them, Lyle! Thanks for sharing! The jalapenos came out a bit tough. It took almost 10 minutes for the pot to start simmering again after I added the jalapenos I then let them simmer for the 4 minutes, am I doing this correctly? Incidentally the leftover syrup was fabulous on vanilla ice cream! Couple of questions: #1 should these be stirred continually? #2 does allowing them to sit for a couple of weeks allow the heat to subside? 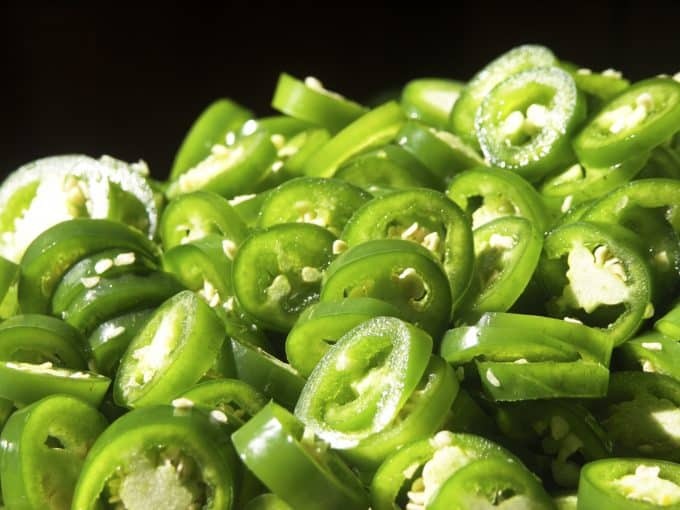 #3 approximately how many jalapenos are in three pounds? Hi Marlene- Constant stirring is unnecessary. I would say stirring frequently would do the job for you. Allowing them to sit for a couple of weeks does three things; first it allows the heat to subside just a wee bit, second it lets the flavors meld and round out and third, it lets the peppers plump back up a bit if they’ve gotten tough during the cooking process. And as for how many are in a pound? Usually about 20, but that depends on the size and age of the peppers. Happy candying! Cinnamongirl- They can get a little tough during the cooking process, but should plump back up while aging in the jars. Can you use diced jalapeños? I tried these a couple of days ago and my syrup was really thick, and after processing I had about 1″ laying in the bottom of the jars. Is that normal? Made these today – they’re setting up as we speak – I have a large “jelly” to pepper ratio, but they’ve already sealed and smell WONDERFUL! I don’t want to seem overly paranoid, but are you absolutely sure that your recipe is sufficiently acidified to eliminate all botulism dangers? Also, do you think I could safely add a little dill to this delicious sounding concoction? Always be sure to boil jars and rings for sterilization purposes. For the lids read the manufactures directions, some instruct to boil, others just to heat, and others there are no process required except washing. You can always check with your local county extension office for more information about canning, the best part is the information is FREE! Also, keep in mind that there’s enough sugar in this recipe to retard bacterial growth, including that of C botulinum. Way more than enough. It’s not just acid that retards C. bot, salt and sugar can do the trick. That’s how beef jerky and jelly work. That is a great way to go- same proportions as a tested recipe! Just remind your readers if they add MORE peppers or significantly more garlic (instead of replacing a pepper or two with garlic) they just undid your thoughtful tinkering! How many jars do I need to prepare for this recipe- give or take a few? What size were your jars? You can use pints or half pints for this project. I got 2 pints, but also 2 pints of liquid too. I used half pints. Makes great gifts. This looks positively yummy! I am going to try it. Thanks for sharing! Absolutely wonderful! With my bumper crop of jalapenos, this is a big hit. I can’t imagine how good they would be if I was able to wait the two weeks. Thanks so much for the recipe and the enticing photos. I just made 4 half pints… tick tock… is it 2 weeks yet? Can’t wait to try it! This is unbelievably delicious! Rebecca, thanks so very much for the recipe! I made these today – the only comment I have is that my syrup was very thin. I did the simmer for 5 minutes prior to putting the peppers in and after the peppers were removed, I did a hard boil for the full 6 minutes. Does it thicken up after waiting the 2 weeks? BTW, I used 3.5 pounds jalapenos and made 3 pints with a half pint extra. I just poured sypup over these and put in the refrigerator. I also have about a half pint of syrup left. (Didn’t have any 1/2 pint jars. Thanks so much for the recipe. I hate paying $8.00 bucks a jar for this when peppers are 69 cents lb. Hopefully we can wait the full two weeks. I tried making these tonight and am not sure I understand what needs to be done after the peppers are added to the syrup. I started the clock as soon as I added, but alot of the peppers still looked raw. So, I just left on until they all lost the bright green, raw look. Should the timer start once they peppers are added or after they start to simmer? If it is the latter, what is a simmer? I have a different recipe for this too! In a large bowl, layer the sugar and jalapenos(sugar, jalapenos, sugar..etc) and let sit for 24 hours. For the next 10 days, stir once a day. Can and refrigerate!! will make about 10 1/2 pint cans! I just found this recipe in mid-January and made them. We started eating the jalapenos after about 3 weeks. These are so delicious that I am making my second batch right now!I’m so glad that I found your recipe, thanks for sharing it! Outstanding, this is definately on my list, I’ll be sure to link back to you when I make these. Keep up the good work! I made these as Christmas Gifts this year. My family LOVED them! They were such a hit, I’ve been requested to make more for all our family gatherings! you can count on me making this recipe several times a year now as they are a hit with everyone! 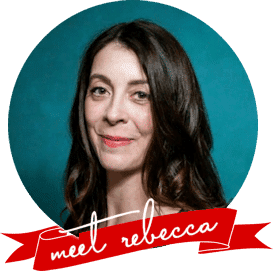 Hi, Rebecca – I have been wanting to make these forever, because our family eats these things in EVERYTHING and they are not cheap. However, I have a glass-top stove and can’t use a canner on it. (Canners are too heavy and not safe on glass-top ranges.) Do you have any tips on how I could make this recipe and preserve it without needing to use a canner? (I’m completely inexperienced to canning, and wanted to start until I found out I’d have to have a new stove to do it. haha) Thanks in advance! Get one of those propane racks used for a big lobster pot- do it outside and don’t worry about heating up your kitchen!!! Good luck! I use my propane barbacue to cook them on, and also use a propane camp stove. I set a whole kitchen up outside. I made this recipe and They arent exagerating, it is wonderful. they are right, double the recipe! This recipe is OK, but if you have ever eaten the real thing(Cowboy Candy)from Shepherd, TX, you know what’s good. Buy them they are worth the money. I’m down to the last inch or so at the bottom of the very last jar and it’s only mid-May!!! It will be quite awhile before Jalapenos will be ready around here, but I know what is at the top of my canning list for this season! I will have to try this recipe!! Maybe enter it in the county fair!!! A friend let me try candied jalapenos from Bucees in Texas and I decided I had to try my hand at them. There are not words to describe how wonderful these are !! I took to a family/neighbor outing and was not allowed by family to add to the community table..they wanted it all to themselves. Only thing I found was I only got 5 half pints out of 3 lbs peppers. I have made it twice with same results???? Had LOTS of juice left over, though, so canned it also. I think next time I will use 5 pounds peppers and see what happens. I forsee Christmas presents here. Thanks for the recipe. I’ve made this twice. The first time the syrup didn’t thicken. But i realized i didn’t cook it long enough. The second time i thought i cooked it long enough. Brought it to a hard rolling boil and then timed it. But it still isn’t thick. How thick is the syrup suppose to be? The jalapenos taste great! But, i want it to be “right”. Is there a certain look of the syrup i should be watching for during the boiling? Thanks for the help! At our local Christmas show, this is called Cajun Crack. We love it and buy several jars each year and dole it out slowly until the next Christmas. This recipe is just as awesome as what we buy. I made some with hot banana peppers (that’s what our garden grows)and it is full of awesomeness as well! Thanks for the great recipe! A classmate gave me this receipe last year. We LOVE LOVE this recipe. As other have stated all of your friends will want jars. We even received a request to serve at our daughter’s wedding. I just heard of candied jalapeno’s and immediately went on a search, and discovered your blog. First, I am absolutely in love with this sandwich and second, I can’t wait to make these jalapenos!! When referring to granulated garlic, is that garlic powder or garlic salt? Is there one form of garlic that is better to use than another? Thanks! Hi Benjamin! When I say granulated garlic, I mean a dried garlic that is a coarser grind than garlic powder. It is definitely not a salt and if you can’t get granulated garlic (Frontier Herbs sells a great version) I would replace with fresh garlic. 1/4 of a teaspoon of granulated garlic is roughly equal to one clove of fresh garlic. My family absolutly LOVES these!! Purchased the jalapenos at the local farmers market, it made 6 jars, turns out that is not nearly enough because they are so good on EVERYTHING! I ended up buying all of the peppers they had, made 38 pint jars…maybe that will last till next Summer?? OK, have you ever found something you were looking for on the first try and soon discovered that not only was it what you were looking for but was “perfectly” what you were looking for. That has been happening to me with amazing regularity lately and this is one more example. I went searching for a dehydrated tomato, basil and garlic recipe and found exactly that here complete with directions to eat them directly from the jar which is what I had in mind from the beginning. At the bottom of that page I saw that “You (I) Might Also Like” Candied Jalapenos. Well as it happens I don’t just like jalapenos, I love them and I cant wait to make these and the perfect sandwich. (I will be adding bacon. Not gonna’ lie.) I will be spending a great deal of time looking this site over. Can’t wait to see what culinary treasures it holds. I will post a rating after I actually eat them but I’m betting it will be a 5 star. I made these last year and passed them out in my Christmas baskets and everyone is asking if they can have these again. They are not only cowboy candy they are gold! 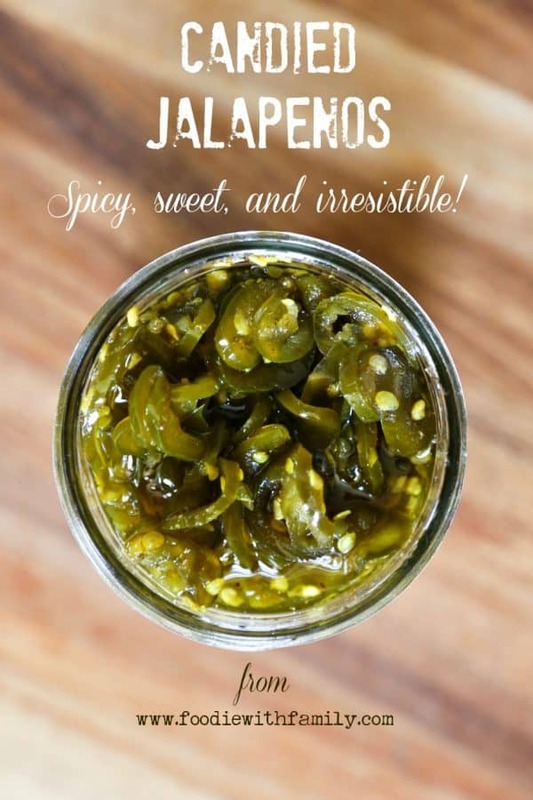 I have made many jalapeno recipes and by far these are the best! Thank you for posting the recipe. I Love this recipe and only doubling in not even enough! This has become one of my favorite recipes to can. Oh my goodness, I’m so glad to have found this recipe here! A couple of years ago we were fortunate to try something like these that someone else had made – pure deliciousness!!!! Thanks for the recipe, I’m so excited to make some and share with friends and family! I was looking for a recipe that equalled the candied jalapeno that Applebees serves on it’s Southwestern Burger. My husband and daughter are head over heals for them. This one is an absolute success for both of them as well as my son, stepson, our friend Tom and anybody else who has tried them. Great recipe. Thank you. I have made these several times now and people are begging for the recipe. I love them and put them on everything. I almost cannot live without them. I wish I had followed your directions to double this recipe! These are amazing! I just finished making these for the first time…. and you mentioned that I would probably have juice left over…. but I actually ran out! I had to try and fit my last half-pint into the other jars. Did I do something wrong? I made these and they are wonderful! I diced them and mixed them in cream cheese with a little of the syrup. A co-worker asked for the recipe and said she was going to use the syrup in martinis. I have the same questions that a couple others do but I wasn’t able to find the answers. 1. When I put the jalapeño slices into the syrup, it takes awhile for the syrup to start simmering again. Is that when I start timing for the 4 minutes? 2. Is the syrup supposed to be thick? Made these tonight. Let my food processor do the chopping work, and those were a little thinner, so I only got 2 pints instead of 9 half-pints, but I had the exact right amount of syrup for the 9 half-pints which I promptly jarred and they’re canning right now. Absolutely, Elise! 1/2 teaspoon of granulated garlic is about equal to one clove of minced garlic. It’ll be awesome! Would it be suicidal to substitute habaneros for the jalapenos? I got the wrong kind at the farmer’s market yesterday, but the habaneros look gorgeous! If you like habaneros go for it! My husband would probably go nuts for it. I admit it’d be a bit too much heat-wise for me, but I’ll be interested to hear what you think if you try it. It’s pretty hot, as you can imagine. But not inedible, as long as you go carefully with it! Wish I had thought to leave out the seeds, but my husband is enjoying it and it will last a long time. =) Long enough to try it on my father-in-law at Christmas, and his motto is “the spicier the better”. Thanks for this recipe! I used seranos. I have eaten a pint and a half in the last 2 weeks! They are hot, but SO addictive! Thank you for sharing what will be our “old family recipe” for future generations! I’m so glad you like them, Miss Patty!!! I haven’t made these yet (w/ 2 year old twins and a 3 month old my learning to can is on hold) but I found some at our farmers market (I’m sure yours are way better) but I had to share this: toasted sourdough+cream cheese+candied jalapenos+an over easy egg= heaven! Can’t wait to get canning and try yours! I came across this awhile ago and just remembered I wanted to do them for Christmas gifts. How long would these last in the fridge without canning them? Just making it and putting them into the jars? I think you’d be fine making them a couple or three weeks in advance of Christmas! As long as the peppers stay submerged in the liquid, they’ll just keep getting better. OK this may sound crazy but, how would you make these without a “canner”? Is it possible to just use the canning jars and boil in a pot or something? My husband grew jalepenos in our garden this year and we have an overabundance! Can I make these without a canner? I have never canned anything before, could I boil the jars in a pot? when you are talking abour cider vinegar do you mean Apple Cider Vinegar? Love the candied jalapenos! I grind them up and mix with cream cheese; let it set overnight and serve as a spread for crackers. I made these last night and forgot to do the second boil of the syrup for 6 minutes after jarring the jalapenos. I jarred them anyway and am hoping for the best. I also have a pint of syrup left over. Two things… do you think my lack of the 6 minute boil will affect things? It did boil the first time before I put the pepper in for the 4 minutes. Second is, can I use the syrup left over towards a new batch after these? Hi Mark! I’m going to say don’t re-use the syrup because it could alter the acidity in the final product, but don’t fret! That extra syrup is really good brushed on meats for grilling/broiling or adding into potato/egg/whatever salads! I think that forgoing the second boil is not going to be a deal breaker. I think it’ll just result in a less viscous syrup. We discovered these at a booth in Canton, Tx. Now I know how to make my own – thank you thank you thank you!! As good as they are in EVERYTHING (i.e. chicken salad, tuna salad, etc…) the old stand bye of a few candied jalepenos with cream cheese on a cracker will make your eyes roll back in your head! The last time we had candied jalapenos was in Scottsdale, Arizona. Thank you for the great recipe! I have 2 members of my family that are diabetic and absolutely love candied jalapenos. If I use all sugar substitute, will it still make the product the same OR do I need to do 1/2 sugar & 1/2 splenda? Thank you. LOVE your recipes! did you try using some sugar substitute? If so, did it come out ok? Your recipe looks amazing! I was given a jar of candied jalepenos, Texas Jak brand, for Christmas, and now that I’ve run out I’ve been searching for more. Then I thought why not learn to make some myself? Your recipe looks like the best one I’ve found, I will definitely be making it (& posting on Pinterest )! I’ve never canned before though, but from what you commented above, it would be good still to store them in jars in the fridge, they just wouldn’t keep as long? And if I were to give them as gifts without canning how long would they last? I added these to “Sunday Morning Sushi” along with smoked salmon, chives and cream cheese. They were a huge hit. We sell our “secret family recipe” of Candied Jalapeños at local craft shows, farmers markets and our web site, http://www.CampbellGardensPeppers. We started out making them for ourselves and friends and then the word spread of our tasty peppers. Ours are different than your above recipe and we think you’d discover the difference yourselves if you ever tried our sweet with a little kick peppers. Check out our web site for more information and recipes! What can I say, I’ve shared it on pinterest, liked it on facebook, and will be giving these for the holidays. Thanks you so much for the amazing recipe. This is a great starter for someone who is learning to can. These were the first thing I’ve ever canned and I love them to death now! They are great with peaches tossed in too! I’m excited that I found your recipe online. I had been looking for a way I could use all the hot peppers growing in my garden. With all the heat we’re getting in MO this year I’m growing a lot of different varieties of peppers and I even have 7 Tomatillo plants growing….crazy weather were having here. I was wondering if I could safely add fresh fruit in the mix before canning? If so how long would I have to process the jars for? I’m looking to duplicate a pineapple pepper jam that I tried in Branson, Mo. They served it with cream cheese and butter crackers and pretzel crackers. Oh yeah, I forgot to ask, if I would need some sure-jell or certo when adding fresh fruit or canned? Made these tonight. I can tell they are delicious. The only thing I think I would do different next time is cold pack them. They seemed to wilt a bit during the 4 min boiling time. But we can already tell the flavor will be heavenly. I found this recently while searching for some good canning ideas. May I just say…these are AWESOME!! We cannot stop eating them and all my friends and family are begging for extra jars. I will be putting up several dozen of these this year, since my jalapenos are going crazy. Thank you so much for this wonderful, easy receipe!! w..:) but they are soooo good. Now I know to cut them more on the half inch side. Glad you mentioned that. It reminded me to post about my issue. Waiting a few days just makes them better. The longer they sit, the better they taste. Also we discovered using 5 lbs of peppers is closer to correct for 9 pints. We only got 5 pints and one jar of syrup out of 3 lbs. Can’t wait to make more! Love your recipes, I tried the candied jalapenos. I wonder if you can tell me what I am doing wrong.The peppers have floated to the top and there is about a half inch of syrup at the bottom. I packed them in as tight as I could. Please help, I always have this problem when I can pickles. Does anyone know if I need to make any adjustments for altitude (in the Mile Hi city of Denver at 6000 ft)? can i make these in a pressure canner? I am new to canning and don’t have a waterbath canner. if you have a pressure canner you have a waterbath canner just dont fasten down the lid..
all a water bath canner is, is a pot deep enough to cover the jars by about 2 inches (jars need to be sitting on a rack or something to prevent it being directly being on the bottom of the pot) – the lid is to facilitate boiling..
am a brand new canner myself so i do unterstand your fears – i hope you have overcome them :)! FOLLOW directions precisely and DONT skip steps!! these steps are there for a reason! there are a lot of people are on sites like you tube to watch and learn from – now personally i recommend starting with the BALL BLUE BOOK – the basic bible of canning and very stringent on safety issues. You Will find that different people have different methods & dont always agree with each other – watch a lot of them & use common sense. I DO recommend one lady in particular (other than THIS site )– her site is Noreen’s Kitchen. every recipe i have tried of hers has come out perfectly. re- the jars YES you need to use the ones MADE for canning Especially for pressure canning – exploding jars is NOT the goal :)!!! over all canning is EASY – its TIME consuming and has finicky bits , BUT WORTH it! i LOVE it. and wonder why on earth i waited so long.. These are wonderful, but I decided not to wait to make them until my little ones were down for a nap, and I let the syrup boil for too long. The end result (thankfully, I was making a smaller batch with only 1/2 lb jalapenos) is a little hard in spots, like it turned to candy. Is there any way to uncook the syrup? Ha! you might want to loan out the kids to grandma & grandpa the day you make these. the smell of the jalepeno is quite strong while cooking..
its worth it but you do NOT want the babies anywhere near this stuff while prepping. I just came across this recipe and my mom and I are canning this tomorrow! Looks amazing! Okay, I took the plunge and made these today. Keep your fingers crossed that my husband will like them! I made these this summer with our first picking of Jalapenos. They are a delight. We had Creamy Chicken Enchiladas, and served the Candied Jalapenos on the side. Amazing!! Thank you. Do these have to be refrigerated after you make them or can they be left out and stored in a pantry.. I was browsing around on Pinterest and came across this recipe which greatly intrigued me. I definitely want to try this as we are crazy for heat in my house (the main reason we moved to Florida!!) and I think we would LOVE these. I have never canned anything before so I was doing some research which left me wondering….do I need to purchase a canner or can I just use a stockpot and, if not, what would be the difference? This are great. Just made my second batch tonight. I didn’t remove the seeds and membranes this time so I’ll be interested to see how hot these are. I have a question about how long to simmer the peppers. The recipe reads to simmer exactly four minutes, but it took me at least 4 minutes to bring the syrup up to a simmer. So should I bring the liquid up to a simmer and then start timing it? Also, your bacon jam is a huge it in our home now too! 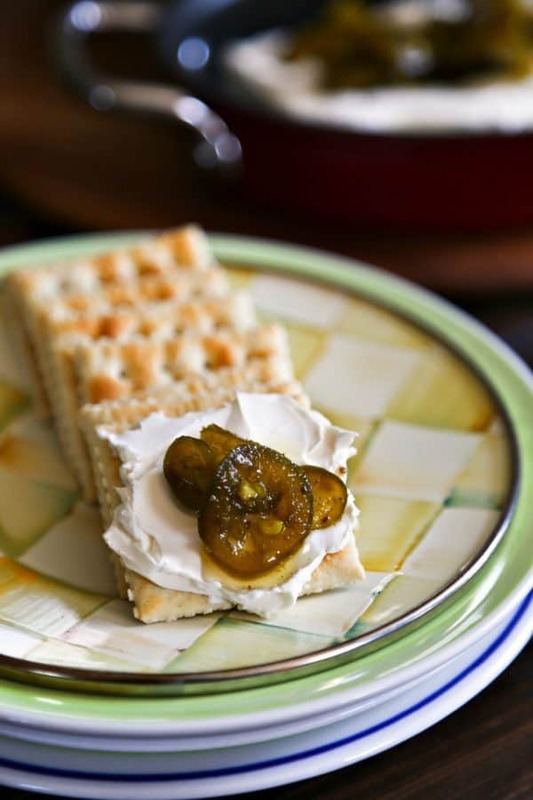 Have you ever used pickled sliced jalapenos instead of fresh? Just trying to save some prep time. yes you can, that is what i do…… i use about 2 cups of the jallepenos and then 3/4 cup of the liquid in the jar and 2 cups of sugar and boil that all together until it makes a syrup that somewhat coats the spoon. This is a small batch, just right for a small family. then i pack it in my ball freezer jar and store in the fridge. can you just put them in jars, because i don’t have anything to use for canning? Olivia- You can absolutely jar them instead of canning them, but they’ll need to be stored in the refrigerator! I am just learning how to can and your recipe is my first. Can’t wait.. sounds yummy! Sooooo…. I followed the directions to the tee. But I am hoping, you can help me with a couple of questions. 1. Do you de-seed or is this optional? Wow! I’m so glad to be part of your canning start! Lets address your specific questions. 1. Optional! I never seed, but we like spicy stuff in a big way. 2. Yes. If you mean what I think you do. Do you mean processing the extra syrup along with jars of the peppers in syrup? That’s a yes! Thank you so much for answering my questions. I greatly appreciate it!
. Yum Yummy Thumbs up thank you!! It’s hard to say- all batches look just slightly different because all peppers are slightly different! I can’t wait to make these. Two questions, however, I read most of your posts and may have missed this answer. Did you remove most of the seeds and ribs of Jalapenas? I saw some seeds in your jars, but wanted to make sure. I froze several bags of whole jalapenas from my garden last year. Do you think frozen jalapenas would work as well, cutting them after defrosting? Hi Deana! I did not remove any seeds or ribs, but that’s optional if you want to tame them a bit. As for using frozen jalapenos, I’m afraid I don’t think it’ll work very well. When you freeze peppers, you destroy the cell walls in them. That’s fine for cooking into soups, stews, chilis, breads, etc…, but probably will turn out mushy if you try to process them in this way. Can you use jalapenos that come already sliced to save on some prep time. That would depend on whether they’re fresh jalapenos or already processed in some way, I suppose. I’ve never seen pre-cut ones! I have made candied jalapenos half a dozen different ways. Mostly its different because I may have had a few glasses of wine as I coke them….so I end up putting in a bit of this or that as I cook. I can say absolutely pre sliced and frozen, canned or anything does not work. You get mush…and the flavor is never right. You must use fresh jalapenos…its a lot of work, but well worth the result. This AM on my way into work I had a brain flash – using agave nectar and tequila in the recipe…not sure how to do it yet. Any ideas from those who cook more often is welcome. These are a big hit in our neighborhood, thank you!! I ended up with extra syrup so I reserved some to add to cocktails and reserved even more syrup to create a jelly (came out honey-like viscosity) which is great with a cheese platter. Thanks again! Will be making more in the next week. I live in Australia and Jalapenos are hard to come by so I grew some. As with many homegrown things I ended up with far more jalapenos than I could ever use until I found this recipe and WOW I wish I had ten times more. It is absolutely delish! The leftover sauce is amazing too, fabulous in salad dressing among other things. I have made these numerous times in the last few months, mostly for Christmas gifts, but I took a jar to church tonight and poured it over a couple of blocks cream cheese and served it with wheat thins. I had at least 4 people ask me fo the recipe. Thank you for sharing this. I’m probably not a great person to ask, Roxanne, because we pile chile garlic sauce and sriracha and gochujang and whatnot over most of what we eat. I’d say it’s definitely hot. Beyond that, we need a recognizable benchmark for comparison. Do you like Tabasco? Frank’s Red Hot? It’s probably hotter than those. Benchmark – good idea. Yes I like Frank’s Red Hot, Tobasco and Sriacha but I’m the spice-lover of the family! If I’m aiming to please typical jalapeno-eating people but not ones who venture into serranos and habaneros, would you say 1/2 tsp cayenne then? I thought I read that between the cooking and the sugar, the heat isn’t as intense as raw jalapenos. Which would mean I need some cayenne to put some heat back. And can I just tell you how unbelievably impressive your blog is! Not only are you thorough, creative, chatty and an amazing photographer – but the diversity in your menus is awesome!! I am Asian by birth but a wanna-be Italian/Mexican and cook just about everything. Your blog is simply perfect!! Thank you Rebecca – I am cooking these within the next two days and just drooling at the thought. There is a restaurant in Phoenix (the Grind) which puts these on burgers, between brioche and with arugula and “fried ratatouille” (fried shoestring onions, peppers, eggplant). It is to die for and I don’t even eat burgers. I am eternally grateful to you for this recipe and will be making your naanwich in exactly one month when the batch is done! How can I make a smaller batch of these using say 1 to 2 pounds? What needs adjusting, the sugar, vinegar, or both? I think I’m going to try these with almost-ripe Jalapenos, almost-ripe Cayenne and ripe Cajun Belle peppers. The flavors should meld nicely and be slightly hotter. Thank you for the recipe. These look great! I just have a handful of jalapenos from the garden, but have TONS of banana peppers. How would these taste made with only banana peppers? I’ve only done this with jalapenos and habaneros, so I couldn’t say for a certainty, but I’d sure give it a try! 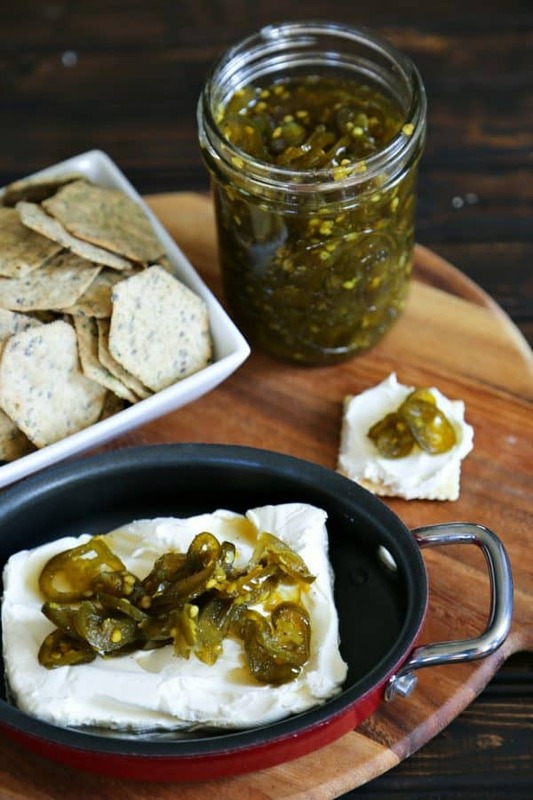 Have you ever used the leftover syrup to make some more candied jalapenos? Or can you? I have two extra pints that I processed at the same time as the last batch I made. Just made my first batch and I was wondering the same thing, about using the leftover syrup to make another batch. The “heat” of the syrup would probably be more intense. As I mentioned in a previous comment, I don’t think I’d chance it. You run the risk of offsetting the acid balance in the end product which is what keeps bacterial/microbial/fungal growth in check! I made these with some jalapenos grown by a neighbor. His are extra HOT and wow, we are just blown away by how good these are! OMG this turned out so good! I was looking for a recipe for what my friend calls jalapeno candy… a recipe she won’t share! I thought I’d give this a try as it looked similar. Sooooo much better! A bit less sugar I think than what my friend uses so the syrup is a little thinner which I like. I didn’t make it 2 weeks. Barely made it beyond a week, and I doubt we’ll make it to a month before all the jars are empty. What a great way to use all those peppers from all those plants I keep putting in the garden each year! Hi, I have made these candied jalepenos many times; they are delicious and I have directed many folks to your website. So, how I forgot to boil the syrup hard the last 2 batches I made, I really don’t know, but I did. Do you think it will be safe to eat? I did everything else the same. Do you think it will be too hot because there is no syrup, just thin sugar water? I have not tasted it yet. Thank you for all your great recipes. Ok, thank you so much. I had tasted some of them shortly after I had canned them, and they were like eating fire. That jar has been in the fridge since- I just tasted them and like before, I think they melted my dang taste buds. But my husband can take them to work and give them out- I have 2 double batches. Thank you for getting back to me so soon- you are awesome! OMG! I think I found a way to use some of the jalapenos that are coming out my ears LOL. My jalapenos are producing like crazy this year and while I love to share, short of leaving them on neighbors doorsteps you can only give away so many before people start treating you like a zucchini bearer, haha. Thank you Thank you for this great recipe. I’m going to make some today. I have at least a bushel of jalapenos ready to pick. Rebecca, throughout my culinary careers I have found that those who teach and share for nothing other than the sheer joy of doing so are some of the most talented among us. I must say that based on that understanding your talent eclipses most. This recipe is just what I have been searching for. Although I have been known for my other culinary items my true love is baking artisanal breads. I have not yet tried these but I think with a small variation in added spices these will be what I need. Normally I would perfect the item I am wanting to try these in before talking about it but in the interest in furthering your work and getting others to come up with creative ideas I am going to let you and your readers know what I am aiming for. Candied Jalapeño Cinnamon Rolls! The bakeries here in the Houston Texas area specialize in donuts and kolaches. You rarely see cinnamon rolls. I think these will appeal to the Texas palate and who knows this may be my next big hit! Couldn’t wait to make this and our jalapeno plants were bountiful this year. We waited 4 weeks to open our first jar and they were wonderful. I found them to be hot, but not unbearable. I canned a second batch and one of the jars didn’t seal so I refrigerated it and opened the jar a couple of days later. Those jalapenos were extremely hot. Great recipe! I just wanted you to know that I love this recipe. I am just getting my feet wet with the jalapenos and so I seeded the peppers but they are still spicy and flavorful. I have been making these for a while and everyone loves them. I never actually preserved them but made them more of a refrigerator pickle and they were wonderful. Thank you for this family favorite. Just want to let you know how much we are enjoying this recipe. Everything you said about it is true. People just LOVE them! The only part we had a little trouble with was whether to let the liquid return to a boil or not before beginning the “exactly 4 minutes of simmering”. We are on our third year of making them now and we don’t let the liquid return to a boil. We begin the 4 minutes as soon as we add the peppers. Thank-you so much for sharing!! I do return them to a simmer before timing, but if it works well for you this way, that’s good information for me to have! Thank you! I’m awfully glad you like them! I would like to try this recipe. Just finishing a jar of store-bought candied jalapenos, and I have a bountiful crop in the garden just waiting to be canned. I have a question about the ratio of sugar to vinegar. 6 cups sugar to 2 cups vinegar. Is this the correct proportion? Oh yes, it is correct! It’s a syrup! I am ready to get going on the canning. Have one question though. I bought the small 1/2 pint jars, and if the peppers fill all nine, my water bath canner only holds 7 jars. What to do with the extra two while canning the 7? Another question: Can I use ‘Fresh Fruit’ so the peppers keep their color? Good or bad idea? Have just finished making 1/3 of a batch as per instructions and they are delicious but screaming hot! Will definitely make a full batch next time minus the seeds. Thank you for a fun recipe. By the way, 1/3 of a batch of peppers and a half batch of syrup yielded 3 jars of peppers and 1 jar of syrup. Thanks for giving the yield for your smaller batch- and the peppers may mellow a bit with time. Just finished canning them. Look forward to eating them. Will be good sitting atop a piece of Lox sitting atop a smear of cream cheese on a toasted mini bagel. Made these today with seranos and red jalapeños for Christmas gifts! Didn’t have celery seed…so I used celery salt instead. Sweet, salty, hot perfection!! The jars look amazing. Ooooh, I bet that is fabulous! Hi! Just made this recipe tonight and, being totally impatient, I just had to try one (after they’d cooled down in the fridge a few hours). So…I love hot things and all but this was the most painful taste test of all time!! Does waiting the 2 weeks mellow them significantly (hoping!!)? Thanks! They really do mellow significantly in that two week time. I promise! Now, how mellow the final product will be depends greatly on how hot the peppers were to begin with. Did you nibble one of the fresh peppers before cooking them? They’ll be about that mild when done. Oh good! I made a jar for my friend and warned her NOT to eat them!!! But now I will retract my warning and spend the next two weeks working up my courage to taste them again. 🙂 Or maybe I’ll get my husband to do it… We love jalapenos around here so I’m sure they’ll be wonderful! Canned for the first time with this recipe because I heard it was to die for! Though I used fresh jalapeños and only those that were crisp and crunchy…mine turned out very shriveled with barely any crunch. Any ideas as to why or what I could do to prevent this? I had this same experience. I was wondering if there was a response? Mine were not crunchy at all. My peppers were known “HOT” so I seeded them, maybe that was one reason for being shriveled. I also thought the syrup was extremely thick…I can see that in the half pints. It is very, very thick, almost like jelly? ideas?? suggestion on what went wrong? It sounds like you overboiled your syrup if you started with the correct measurements and it reduced down to a jelly like consistency. It should still taste good, but next time, I think perhaps you need to drop your heat even more for a simmer. How long have they been in the jars? Because they always look shrivelly for a bit then seem to replump in the syrup after a week or so. Thanks for the feedback. I too suspected I had a little too much heat when it thickened up so. They were only made three days ago so I will wait a few weeks and see how they are. The good news is we have plenty of peppers for a second try!!! Why is it important to cook the peppers for four minutes? Mine were shriveled last year when I started the cooking time after the liquid returned to a simmer, so this time I started the cooking time when I added the peppers. They still looked a little shriveled so I made a batch or two using a 3-minute cooking time. I’m too nervous, though, to change your recipe too much since I’m not a preserving pro. But I’m wondering — why couldn’t we cook them for an even shorter time, or pour the hot syrup into the jars over raw jalapeños like is done for picked peppers? With a 15-minute boil in the canner (for pints), it seems like they’d be cooked enough. Am I missing some science here? I have always made jalapeno jelly….they is almost the same, maybe even better. I have not tried this recipe. I bought a jar locally and fell in love. Hi – I have made 2 batches so far. The first time I did not have cayenne pepper, so I used 1/2 paprika and 1/2 chili powder. I tasted the sauce and loved it. Both times I have tons of sauce left, could I use 4 lbs of jalapenos instead of 3? Is it ok to double this recipe, or do I need to do it in batches? Thanks so much for the recipe, lots of requests for it. I not only double the recipe, but sometimes quadruple it! Have at it! I honestly can’t tell you whether it will effect the acidity negatively to do 4 pounds instead of 3. I know that part of the reason so much liquid is left over is because the jalapenos give off liquid as they cook, so you’ll probably still end up with loads extra! Thanks so much! I will definitely being doubling the recipe from now on. I will prepare a couple of extra jars for the marinade, I know people will love that as well. How many jars will I need to make this recipe? I am new to canning and don’t even have jars yet. I’d say wash and sterilize about a dozen half pint or pint jars and you’ll have more than enough. It’s always better to have jars you don’t use that you’ve prepped than to have to put the canning project on hold to prep more jars. Can quart jars be used instead? How ling would quart jars need to be boiled? I’m sure they can be, but I just haven’t done them that way… I’d be guessing about processing time if I gave you a time, unfortunately. Oh my dear…how I love these sweet, hot circles of deliciousness. Thank you so much for a divine hostess gift. PS The Honey Mustard? To. Die. For! This is my 3rd season making this incredible recipe. Everytime I make it I am asked to share the recipe. Thanks for sharing! Very addictive! My husband wants to put them on everything! Very addictive. My husband wants to put them on everything! 1. I USED WHITE VINEGAR AS CIDER VINEGAR IS HARD TO FIND — WILL IT MAKE A DIFFERENCE? Cider vinegar has a milder, gentler tang than white vinegar and is my pickling liquid of choice, but there will not be any safety reason to avoid swapping in white for cider… They’re about equal in acidity. If you cook them longer they may become mushy and lose structural integrity. If that’s what you’re going for, it should be okay! This is my 2nd year making these with my home grown jalapenos and cayenne peppers and they’re a huge hit with everyone who has tried them. Last year I followed your recipe exactly. This year I followed the recipe – just made more of it. I *may* have been a bit overzealous with my pepper crop. I ended up using about 12lbs of jalapenos fresh off the plants. I quadrupled this recipe and noticed that I probably could have gotten away with using about 1/2 to 2/3 of what I ended up using for ingredients. After filling up 10, 1-pint jars with jalapenos, I topped them off with the sauce. Then I filled up a 1 qt jar with just the sauce. I still have probably half a gallon of sauce remaining. I also noticed that I needed to boil it for longer on its own after I scooped the peppers into their jars. With the water from the peppers it was too thin after 6 mins. Anyway, anyone have any idea what I can do with 1/2 gallon of extra sauce? It’s delicious, but I’m not sure what to do with it. I imagine it would store in the fridge for a good long while (due to the acidity and sugar). I make a much easier recipe using jarred pickled jalapenos. I don’t bother with pickling mine – as I don’t have the equipment or time to master a good pickling effort. Sounds like a nice quick solution, but I’m standing by this recipe. It’s fantastic and worth the effort! I would like a recipe using the jarred jalapenos. That is the way my friend made them in the past but I was confused by her recipe. I’m afraid I haven’t tested any other type of candied jalapenos because I’m so satisfied with these. These have the bonuses of being made from fresh ingredients and being shelf-stable when canned properly. I have made this receipe about 4 times. LOVE IT!!. I am making them now for gifts this holiday season. I usually half the receipe so I’m not in the kitchen all night. I find about 10 jalapenos per 1 little jelly jar (50 jalapenos of average size) and 1/2 the receipe makes 5 jars. I’m looking forward to trying some of your other receipies. Thank you for sharing. This recipe looks amazing! I have never done any canning but would love to make these for Christmas gifts. Is there a lot of equipment I need to get started since I don’t have any of the proper canning tools? Hi, canning is about as easy as it gets. I had never canned until I met my husband, and could’t believe how easy it really is. 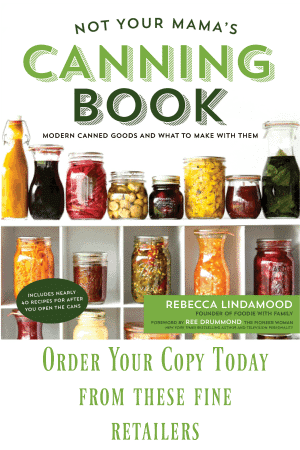 I am no canning expert by any means, and recommend buying a canning book, such as Ball or Better Homes and Gardens, etc. or going to your local extension office for information. All the information from times to safety are there for you. There are 2 types of canners that can be bought…a pressure canner and a water bath canner. With this recipe you only need a water bath canner which is very inexpensive, ( i have canned with using a deep pot), but, I recommend buying one. Depending on size it is under $20. Basically, after the jars are filled, place them in the water bath and cover about 1-2 inches above the jars and bring to a boil for the allotted time. Timer starts when the water comes to a boil. Good Luck and have fun!!! Do you have to use a canner or can you just boil your lids and put them on the jars…I’ve done this with jalapeno jellie? I would like to know this as well. I live in South Korea and have no access to a canner. Any tips?? Hi Lindsay, you can use any big, deep pot lined with a towel to act ask a water bath canner. The only restriction is to make sure the jars are covered by at least an inch of water as it boils! Would you happen to have nutritional information for this recipe? I’m curious to know what the sugar content is in each serving. Thanks!! Hi Brenda- I do not do the nutritional number crunching on my recipes. There are a number of good nutritional calculators online that could help you if you enter the ingredients. I have been intrigued by this recipe for a while. Alas, I live at about 5500′ altitude which raises a question or two. Is the simmering for four minutes about texture or food safety? I will caveat that by saying I would put them in my fridge for the shorter duration, not canning to sit on the shelf. I will likely make a fraction of a batch to see how they turn out since timing is somewhat unreliable here, but your answer will help guide my own tweaking for our conditions. They look like the perfect ‘game day’ something special and look forward to trying them. I have used your recipe for 3 years using jalapeños from my garden. Sometime I mix red and green jalapeños together for fun. I have even used extra syrup as a chicken marinade and as a start for making pickled eggs. Yum! Thank you so much for making me look like a good cook. I’ve been making these for years – they are addicting! Sent a jar home with DD’s boyfriend. He and two roommates ate the entire jar in an evening. Guess they liked them, too! Just saw that you are a contributor to Tasty Kitchen. That’s where I found this recipe originally. Love candied jalapenos. Sure enough! That’s my recipe up on Tasty Kitchen! 😀 I’m glad you and yours like it! Hi! I just had these for the first time this last Christmas, and fell in love. I’ve been pouring over different recipes, and finally decided on yours, after reading your notes about being able to this without canning. I have never even attempted canning before, so having the option to do this another way safely was exciting. Thank you. I do love the recipe though, I tasted the syrup after I finished putting my jalapenos in jars. It was so amazing, I can’t wait to use it tonight on my chicken legs for dinner. Thank you for all the tips it really helped make the whole process so much easier and less worry about messing it up. ~ If I am not canning them, should I still let the jars sit on the counter for a 24 hour period, or put them into the fridge immediately? ~ How long should I wait before opening up the jars to eat and share with family? Since the shelf life is so much shorter, I was wondering if I could eat them right away or still wait a few weeks? Hi Dana- I’m so glad you gave them a try. I would still let them sit for 24 hours to cool before putting in the refrigerator. You could probably get away with opening them a little earlier. The real key here will be a visual one for you. When the peppers look plump again (because they’ll likely look a little shriveled right after making them) you’re good to go. They will, like their shelf stable counterparts, mellow as they age, so keep that in mind! Thank you so much for the tips and visual cues to look for. My husband has already dipped into the extra sauce, and used it with his crackers and celery. He is super excited, and actually is thinking he will try it in a mixed drink or even his hot green tea, He’s thinking it’ll be amazing in everything. Thank you again for sharing this recipe! Thanks for this recipe. I look forward to making these once our farmer’s market has boxes of fresh plump jalapenos. I’m curious about that sandwich your friend had. Do you know more about that? I’d love the make the perfect candied jalapeno toppped sandwich. Hi Lea Ann- I’d like to tell you what my husband says, which is that any sandwich with candied jalapenos is the perfect one 😀 If you’re looking for one that is particularly suited for candied jalapenos, though, look no further than this Second to Naanwich (made with Tandoori Style Grilled Chicken) from right here on Foodie with Family. I have seen several variations of this same recipe and would like to know your thoughts regarding the final steps of canning or not canning and refrigeration. The recipe I use contains a similar vinegar to pepper ratio and calls for a final boil, filling the jars, and refrigeration. Considering the relatively high vinegar content and the available space in my refrigerator, I often put them directly in the pantry without refrigeration. I have not discovered any ill effects. In this case, is there any risk in not refrigerating? Also, what is the upside for the extra effort when canning? Is it necessary with the high vinegar content? I personally wouldn’t stash them (high vinegar content or no) on the pantry shelf without sealing the jars in a boiling water bath unless your pantry is at root cellar temperatures (between 40-50 degrees F.) Even then, I’d probably feel like I was living dangerously. I’ve taken enough food safety courses to err on the side of caution 😀 The vinegar does a great job of preventing nasties from growing, but the real insurance policy here comes in the water bath process itself which forces the rest of the air out of the jar to prevent not just the nasties, but oxidization (discolouration) as well. All that aside, I prefer the texture of the candied jalapenos once they’re refrigerated. I feel like they are a little more tender crisp when cold. I am so confused. In the recipe it does not say to boil the peppers. It says to boil other stuff let simmer for 5 minutes and a dd peppers and let simmer for 4 minutes. But above in your hints is says to put peppers in at a rolling boil. You say “To clarify further, you will not be boiling them HARD for 4 minutes, you will bring them to a boil then drop the heat and simmer.” but the recipe says “In a large pot, bring cider vinegar, white sugar, turmeric, celery seed, granulated garlic and cayenne pepper to a boil. Reduce heat and simmer for 5 minutes. Add the pepper slices and simmer for exactly 4 minutes. : so i don’t see where I boil the peppers-please help! thanks! Thank you, Kathy! It’s so nice to know someone else loves them as much as we do. And thanks for your vote of confidence in the recipe! I have the same concern/question as Susan from June 6th about the boiling/simmering of the peppers. I did make this recipe last year and it was delicious…it was end of season so I only made 4 – 1/2 pint jars. I made them 4th of July weekend and they are a brighter green than last years. I made them again yesterday and they are a darker green than the ones from the beginning of July. Could you please explain the boiling – simmering process and time for the jalapenos? It’ll take a little bit to get those to the simmer, but you’ll start the timer as soon as you see them simmering. I made these a week ago, already had to get into them. Sooooooooooooo tasty. I used a HUGE pot that I inherited from my grandma as a water bath canner, ball makes a relatively cheap plastic canning rack that fits perfectly inside it, and its tall enough to make sure I have plenty of water covering the jars. As a bonus, the plastic rack has a handle, and came with a funnel for filling the jars and I think a set of jar lifters too. Anyone that wants to try the canning part should look for the kit, its not very expensive to start out. While throwing these guys into jars I lost a ring to the counter and popped it in my mouth…so spicy! I love hot food but good gravy..gravy! Are these guys going to mellow out? I used banana peppers, jslepenos, and a sweet mild pepper so tbey wouldnt be too spicy for my hubs and now I’m afraid they’ll be too spicy for me! Anyone cut out the cayenne? They absolutely will mellow out. I think I mentioned it in the body of the post, but they are positively incendiary when they first go into the jars. Give them the time recommended and they will chill somewhat. Hi Rebecca! I absolutely LOVE hot pepper jelly and these look like they will be absolutely delish. Can you please tell me how many jars you would use for this recipe if you are using 8 ounce jars? Thanks! I have only made one batch of this and there must be something wrong. First thing is that it must be disintegrating the canning jars. It really is scary that there isn’t anything left of the jars. As of right now there is 5 half pint jars gone. Well, to be honest, I did find the 3 empties in the sink, and the other two must have gone out the door. It has only been two weeks! I think these have created a situation where I sleep walk and indulge. Tomorrow I will be making a double batch in pint jars this time. I am a long time canner and am always looking for good things to can. Thanks for sharing this and your other recipes. YUM! This is, by far, the most popular thing I can. It works well with hungarian wax peppers as well. I can’t make enough to satisfy the food vultures in my family. Hi! I have a problem that I hope you can help with. I’ve made this twice, and both times, the recipe yielded only 3 pints, whereas I thought it was supposed to make 4. I followed the recipe exactly, and it tastes good. Am I doing something wrong? Should/can I use 4 lbs. jalapenos next time to make 4 pints? Thanks. I have to say that there is a little give in the quantity that you yield depending on a whole host of variables including the individual jalapenos (how thick the walls are, how fresh they are, etc…), how many seeds the peppers have and whether you include them, how evenly and thinly you slice them, etc… Your yield can vary from one batch to the next. As long as the actual end product tastes good, I’d carry on as I had been and maybe just double down on my batch. I have question I’m hoping you can answer. I made these back in July and they got shoved to the back of my fridge, one jar was never opened. Are they still ok to eat? My family is interested in them since they’ve been rediscovered. How many jars are needed for this recipe!! There will be some give or take, but you can count on filling about 5 (8 ounce) jars. I just wanted to thank you for this recipe- I made it exactly as listed 3 years ago (for the first time) and without even trying to taste one myself- gave jars to all my family and friends for the holidays. I have been doing this every years since. These are amazing! I am sorry it took so long to comment. These sound amazing. We found some at a farmers market once and now we are hooked. Can’t wait to make our own! How much does this recipie make? Hi Brian- I’m glad you’re here! There is going to be some variation in yield because peppers are a natural thing and, well? Full of inconsistencies. In general, you can count on it yielding about 5 half pint jars. As a rule, I always have a handful of extra jars handy, particularly in this case since there is always leftover syrup that I love to can up to brush on meats and vegetables on the grill. Absolutely everything that Mrs. Lindamood had to say is true! And in my own words….The best recipe I have ever followed to the T ! The results will make your tongue wanna slap your Brains out ! lol (Sooo Good }. What an intriguing recipe! I love anything spice so I had to make it right away. Followed recipe and put up two quart jars. There was liquid enough left over to jar one half pint for marinade/dipping. Now, I have to wait a month?! Not fair! I tasted some of the liquid before washing the pot and it was amazing! I will make a batch in half pint jars, next. Maybe I can barter for some yard work. Thanks for the recipe. I am so sure I will love it I gave it five stars even before it’s ready. I shouldn’t admit this, Dan, but my husband always sneaks into a jar within days of it being made. He agrees it is better when left to meld and marry, but he can’t help himself. 😀 And I barter with these for pottery from my favourite potter, so it’s best to have WAY more on hand than you think you’ll eat yourself. It was not quite four weeks but my wife and I were leaving for a weeks’ vacation with her brother and sister in law. So, I opened the jar and tried them. Whooooeeee! Fantastic! Sweet and spicy. Like a “bread&butter” style jalapeno. I left them in the fridge to marinate further so I could have them when I returned. Did not take any since brother in law has diverticulitis. Unfortunately, my two adult sons and daughters in law found the peppers. I got home to a quart jar with TWO jalapeno slices floating in the nectar. I had to open the new jar. AFTER changing the door locks! HA! I’m glad you had your priorities straight and changed the locks first. 😀 So you’re telling me my sons will still be locusts when they’re adults? Come on, man. Help me out. Seriously, though, I’m awfully glad you liked the candied jalapenos as much as we do. My husband can eat half a pint at one meal! So. Finally getting around to making some more. Those peppers were a hit. My adult daughter is coming for a visit and wants us to make a batch. I will put them in half pint jars this time for gifts, minus whatever I save for myself. This is the best condiment, ever! A google of stars! Thank you, Dan!!! A google of stars is the best! 😀 This is why I do half pints all the time… so many people want a jar and my husband gets growly if I give away a pint. Dan, the quart jars has my interest for me and my VERY closest blood brothers (the rest get 1/2 pints)! my question is, if 1/2 pints are 10 minutes and pints are 15, are quarts 20 or 25 minutes of canning time? I have my dill pickle and spicy pickle recipes down pat, this will be better than drying al of my jalapeño and habenero peppers to make a dry seasoning. Plan on making both and leaving the dried pepper out on the habeneros. Thanks for the help Dan, and Rebecca thanks for the great recipe! i have spent about 5 hours the last few weeks trying to find THE one! Ah yes, this has definitely made the rounds on the internet with very little attribution. Whaddyagonnado? It’s a compliment that everyone likes it so much. I hope you enjoy it, too! I apologize for missing your post, Deric. I just checked back because I am thinking of making a new batch. I hesitate to provide canning instructions. I think I used 25 minutes but check out USDA website, http://nchfp.uga.edu/publications/publications_usda.html for canning advice. I just followef Rebecca’s recipe and I cooked outside on a gas grille, so it took a bit longer to get the temperature to boiling. Dan. Finally made some more. I don’t remember tasting the peppers after cooking, only after the month’s rest. They are really spicy hot right out of the pot. Is that normal? Hi Rebecca, I just made these tonight. I did not can them because you said in your cook’s notes that it wasn’t absolutely necessary (and I’ve never canned before and too scared to do it!). Do I put them in the fridge after? How long will they keep? If I wait 4 weeks until opening them, they’ll be ok to keep eating for about 3 months? I also put the leftover syrup in a glass jar and storing in the fridge. How long will these keep? Thanks Rebecca! Cant wait to try these!! Hi Pamela- Yes! I would store them in the refrigerator. They should be fine to eat for a couple of months as long as the pepper stay submerged. The syrup will be fine for a month or two in the refrigerator! How many 8 oz jars would you say this makes, planning this in large quantity! Hi Marie- If you glance up through the comments, many folks have weighed in with what their yields were. I estimate about 5 8-ounce jars, but there is so much variety from batch to batch that it’s just a good idea to have a couple extra jars ready to go! Plus, you don’t want to waste that extra syrup! A friend just shared this recipe with me as an idea of what to do with the abundance of jalapeños growing in my yard. Out of curiosity, and I realize this depends on jar size, but how many jars does this full (say, pint sized) when you say it serves 32? I’ve never canned, so I’ll do everything up to that part of the instructions, and I want to make sure I have enough storage around for the results. I am going to make your recipe, but would it be ok to use chopped jalapeno peppers vs. sliced jalapeno peppers? I haven’t tried it like that, Christine. I’m assuming it would be more like a relish that way. Because I haven’t given it a test run, I can’t really say whether the texture would hold up or not. One thing to keep in mind is that there is almost always extra syrup, so that might make it a big sloppy if you’re chopping the jalapenos. What quantity in cups do you getafter slicing 4lb of raw hot peppers? I don’t have a scale, so need to measure my sliced peppers in cups. Hi Jane! I don’t have an ‘in cups’ measurement for this. When you buy jalapenos at the farmers market or at a farm or even at the grocery stores, most of them should have a scale available to measure it. The reason for doing this is because depending on how thickly or thinly you slice the jalapenos, you could have a vastly different weight packed into the measuring cups. You can google some approximations of how many cups that would be, but I think it is best to try to get it weighed out first. Please help, I live at 4000′ elevation. Do I need to adjust my Watergate time? sorry, looks like spell ck got me on the ? I just asked. I wanted to know If since I live at 4000′ elevation. Do I have to adjust water bath time? I was so intrigued by your post. Bought three pounds of jalapeños at the farmers market and followed the recipe exactly today. They look wonderful in my half pint jars, but I ended up with only three jars! What could I have done wrong? Just made these with jalapeños and Anaheim chili peppers from my garden. I added mustard seed and onion. The leftover juice is awesome, can’t wait to taste these after melding for a month! We are on our third batch of these this year. Today I used 9 lbs of jalapeno’s, doubled the syrup recipe, still had a pint of syrup left, which we will refrigerate and use on steaks, burgers, and to dip quesadilla’s into. FYI – 9 lbs yielded 10 pints. My canner holds just 8 pints, so I am going to refrigerate the other 2 pints; hoping they are okay for a couple of weeks. Turmeric should be widely available at almost all grocery stores… well, except for the gas station one in my town. 😀 It’s also available on amazon. I don’t advise omitting or substituting for it as it lends both colour and subtle flavour. Hi, I’m glad I read the entire post (great pics and humor, btw). But, the instructions at the point where you add the peppers doesn’t say to ‘return to rolling boil’ before turning down to simmer and starting the timer. Since liquid is already at a simmer from the previous step, some folks may not return to a rolling boil first. Making these tonight – unfortunately, I couldn’t double, in fact, had to 1/2 it because that’s all the jalapenos I had (about 1-1/2 lbs). Hope they turn out great. They sound great – I’ll come back later to rate it! This recipe rocks! I have made 2 double batches and I cannot keep it in the house. The only changes I made were to add additional peppers that were in my garden at the end of the season. I figure that they will take on the jalapeno juice flavor. So no crime, no foul. Today I am processing another two double batches. Thanks for this great recipe! Ok. I hacked your Candied Jalapenos cuz I couldn’t wait to make them. I drained my two jars of Jalapenos that were just sitting in the frig doing nothing and a few pepperoncini left over in a jar and dumped everything together to boil.. I tasted the syrup to see how it tasted when they were done boiling – it was yummy! So I know when I make the real thing it will be outa this world! Going to the store today and get what I need. I hacked your recipe…again. Went to the store and bought a six lb can of pickled jalapenos. I poured juice and peppers into pot, added your ingredients (except for all of your vinegar – I just put in a half cup since there was already vinegar in can), boiled, scooped peppers into hot jars and filled with hot syrup mixture, popped lids and rings on waited for them to “pop” and let them sit over night to cool. Next morning they were all sealed and looking like jewels. If jars do not seal the candied peppers can be put in frig. I forgot to mention, I got 12 half pints of Candied Jalapenos out of this 6lb can of pickled jalapenos! All 18 jars are sitting in my frig – took your advice! They are going down fast though, can’t get enough of them. Thank you so much, I will do the fresh ones next, but I think I will always have a quart jar in the frig. I decided to jar candied jalapenos from fresh jalapenos instead of from the jarred kind in the store – caution – Hot! Hot! Hot! So I like really hot things, but I had never tasted a real jalapeno from the veggie depart in the store or off the bush. I was at the store and decided to jar some more candied jalapenos, I just bagged up what I thought I would need (it wasn’t enough). Got home started in…you know put on the gloves, washed the little peppers, cut them up, got the syrup going (I did the syrup per instructions even though I didn’t have enough peppers). I left the seeds in cuz I like things hot. While I was jarring up my jala’s (four jars), one little teeny eeny bit fell on the cutting board where I was filling my jars. I might add here that the fumes from the syrup and the peppers were making me cough, and then I put that little piece of pepper in my mouth. Between the fumes and that wee pepper, I thought the top of my head was going to blow off! My saliva on both sides of my mouth started to gather – you know, like when you are going to heave – I grabbed a glass of water stumbled over to a chair, sat and weakly called for my hubby to come open a window. Of course he has to ask why as it is cold out. I was afraid to open my mouth too much, I said, just do it! He opened two windows. My jaws calmed down a bit, enough for me to get up and go outside to sit on porch. The cold snapped me out of it. I went back inside and after a while, I eyed those four little jars like they were snakes ready to bite. Going to be truthful, I am afraid to open the little devils when it is time. They will be sitting on the shelf for the full month, then I will determine their fate! This jalapeno candy is really the devil in disguise. I am going back to the store today and get the full three lbs of jalapenos, another bag of sugar, more garlic and I am going to show them who is boss. This time I will leave out the seeds. Heh heh. Canned jalapenos once again, got three pint jars and one half pint out of the batch. I did mix some little red peppers in with the jalapenos for color (they were shaped like jalapenos, but tasted like bell-peppers) These jars are gonna stay on the shelf for a month to mix those flavors. So pretty. I have jars in the frig to keep me happy till then. Heh heh. I had quite a production line going on: pot of peppers and syrup/vinegar, pressure canner, pot of boiling water for bottles and lids etc…then I made your Muesli Toasting Bread. I was in canning/baking heaven. Hi Rebecca. I tried your recipe yesterday, and can barely wait 4 weeks to try the results. I had a lot of syrup left, so thought I’d try to make it into jam / jelly. I kept boiling & did the jam setter test (cold plate in fridge) every 5 minutes. I have a thick jammy condiment, with a lot of heat! Yum, will serve with cold meats & cheeses. I’m in Australia, where jalapeños are expensive, but luckily my father grows them. Oh Mandy! That sounds like a wonderful idea!! Waste not want not, right? Hi Rebecca .I´m from Chile, I just discover your blog. It´s amazing. Thanks for sharing your recipies. I have a question about the amount of sugar. It will be like a jelly?. Hello Monica, and welcome! It will not be like a jelly, it will be syrupy, though. What you’re making amounts to a heavy syrup. I’m glad you’re here! These are truly addictive. It’s hard to wait 2 weeks let alone a month. Yes…double the recipe .your friends will thank you. How long will candied jalapeños last when not opened? If you’ve processed them in a water bath canner correctly, they should be good for at least two or three years. If you’re just storing them in the refrigerator, I’d go a max of 3 months. I just found this recipe and because my husband is a ‘heat-o-holic’ I have to make these ! Will return with results. Also, I have an idea for them…. If you scroll up from the comments, you’ll see a printable recipe. after the process is done, are they to be refrigerated for the 4 weeks? Hi Jerry- If you’ve processed them in the boiling water bather in the canner, they’re shelf stable! If you’re not opting to process the jars, they’ll need to be stored in the refrigerator. Is there some place I can purchase these candied jalapeno peppers. I used to be able to order them but now I cannot find them. Hi Becky- I’m not sure where to purchase them ready made, but I’m happy to tell you these homemade ones are easy-peasy! I make this at least twice a year. This time I added a pinch of salt and a handful of halved garlic cloves. Best discovery ever. Christmas is going to be homemade soap, jerky, jars of this, and home-roasted coffee: Texas survival kit! Thank you. I meant to add–FIVE stars! I love that idea! Texas Survival Kit? Brilliant! And thank you for the idea and the lovely rating! Absolutely delicious! I’ve made these several times and they are always a hit! I not only love the jalapenos, but the sauce on grilled chicken – wow, fantastic! Thanks for publishing this recipe! How many jars will I need for one batch? If you’re using half pints, you’ll use anywhere from 4 to 6 half pint jars. I grow jalapeños and don’t know how much 3 pounds is. Is there any way you can say roughly how many jalapeños are in 3 pounds? Thanks! Hi Terri- Actually that’s a little tough because jalapenos vary so widely in size and girth. I highly recommend getting an inexpensive kitchen scale or borrowing one from a friend who has one. I find a scale to be dead handy in the kitchen and actually bake almost exclusively by weight! Hi! These look delicious! A couple questions for you – sealing the jars – is that same as a water bath that I do for my preserves? Also, why do you let them rest for a month? My jalapenos are thriving so can’t wait to make something with them! Hi Patricia- Those are great questions! First, yes; it is the same water bath you use for preserves! Second, we let them rest for a month for two reasons; because the jalapeno rounds shrivel a bit when you boil them in the syrup then rehydrate and become plump again as they rest for a month but also because the flavours develop and mellow as it rests. I hope you love these as much as we do! Hi! Quick follow up Q. I only had a pound of jalapeños in the garden so I reduced the ingredients by a third. It’s that okay? It made three half pints and I heard all three “pop” after the water bath. Just making sure my vinegar and sugar was enough…and I used apple cider vinegar. That ok? Thanks a lot!!! Can’t wait for four weeks! As long as you reduced it proportionately I think you’re fine! You’re going to love these! Sounds good! For one pound of peppers I used 5.3 oz vinegar, two cups of sugar plus spices. Thanks again! Calendar reminder! 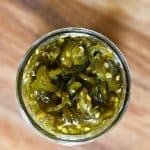 Other ways u might share jalapeno recipes? I have pepper plants and every other day I harvest 5 lbs easy. I am about pepper jellied out. I have made pepper sauce and for some for cooking later in year. These peppers are the best yet! They compliment any dish, but are especially delicious on taco, nachos or burritos. In a cute jar they make delightful gifts. How many half pint jars does this recipe produce? How many 1/2 pint jars will this recipe make? Hello, I ran across this recipe tonight and am going to try it tomorrow. My pressure canner has different instructions, however, such as leaving 1-inch headroom and pressurizing for 35 minutes. And in my canner I don’t generally cover the jars with water. Just curious about the discrepancies. Hi Chaz- You can use your pressure canner as a water bath canner for this recipe. You do not want to process these under pressure because the recipe is designed to be safe in a water bath canner which means it is also designed to be ideal texturally when water bath canned. These are DELICIOUS!!! A total hit with everyone. I highly recommend! For the granulated garlic, do you use fresh ? Good question, Jason! Granulated garlic is dried! That is so fantastic, Liz!! Thanks for letting me know! I know, man. They’re nearly irresistible! I too love Candied Jalapeños and am very happy to find that you spoke to your local extension office about this recipe. It ( or variations) has been floating around the internet and I just wasn’t sure if it was acidic enough to be safe. I have been wanting to make this recipe into a relish by simply chopping up the peppers. I feel better about that idea and about making candied jalapeños now that i know the recipe has been given the thumbs up for canning safety. Thanks! Looking at interestingly different recipes online about two months ago, I came across your ‘candied jalapenos’. Knowing my hubbys love of all things hot & spicy I decided to try making this recipe. When I got to the point of filling jars I had Bob taste a few rings. He almost swooned(yes I did use that word!). When I told him that they had to set-up for two weeks, he almost cried! Just about every day he’d ask and I’d say no. He uses the on everything! Especially burgers, says they bring out the flavor. I thank you for sharing this recipe and will be looking through more of your goodies! I love it when people find the thing they never knew they wanted! 😀 Hooray for making your hubby swoon. My husband does the same thing with the newly canned rings, too. It sounds like you may have an underpowered burner possibly. Can you get it up to a full rolling boil? Am I able to subsitute 6 cups of honey for the sugar? Hi Brenda- I have not tested it that way! Please let us know how it turns out for you if you do try it. These look amazing and we have a ton of jalapenos in our garden! What altitude is this processing time for? I’d love to make these but want to make sure my times are correct. This recipe was tested at 1800 feet. Jalepenos are trick for me. I hate them on pizza, I love them fresh. I tend to love everything pickled so I gave these a try and they were FABULOUS. I even cut down the sugar a bit and tinkered with the recipe (I can never follow a recipe ) and I can’t wait to make this again! I added some onion and a small amount of celery because I didn’t have 3 pounds of jalepenos, but I want to do it with mixed peppers now too! Thanks for this fantastic recipe! You’re very welcome, Margaret! Thanks for letting me know you like it! How many 1/2 pints does this make? Sounds yummy. How many 1/2 pints does this make? Sounds yummy.is it alright to double the recipe? It is absolutely fine to double or even triple the recipe. You’re only limited by the size of your pot and spoon 😀 The yield is usually between 4 and 6 half pint jars. How many pints does this recipe make? Could not find that info. Candied jalapeños. Hi Carolyn- This recipe yields between 4 and 6 half pint jars, so that would be 2 to 3 pint jars! Yum!!! How many pints does this make? Can’t wait to try this but want to make sure I have enough jars and caps/rings on hand. How many pints will this recipe make? This recipe yields between 4 to 6 half pints or 2 to 3 pints. Happy Canning! Has anyone tried these chopped up (in like a relish-style)? I bought a jar that I LOVE but I find myself putting them in my food processor to get them chopped a little finer. How would pre-chopping my fresh peppers alter this recipe? Utterly Fabulous. Very easy to make. This recipe is the best. This is my 4th year of canning these. I buy two to three 15 pound cases of Jalapenos each year to make these. I typically get 4 half pint jars out of each three pound batch. I have so many people that want me to make these for them. I just ordered 4 ounce canning jars and am going to give these as stocking stuffers with the recipe attached so that hopefully others will attempt to make their own, as my list of people wanting me to make these is rapidly multiplying. Thank you for sharing this amazing recipe. I can only find apple cider vinegar, is that the same as cider vinegar? Hi Debi- I’m concerned about reducing the sugar content because sugar is actually part of the preservation process here. Thanks for the quick response, I have posted on a couple of FB canning pages, and a few people have had success with reducing the sugar. I think the acid is more important to the processing, the sugar is for flavor, just as in jelly. No problem! I wish you the best with your experiment. The acid is DEFINITELY more important, but sugar does play a preservative role. Like many of you, we had a bumper crop of jalapeños. Waste not, want not! I ended up with six 1/2 pint jars of candied jalapeños. There was about 1/2 ” of liquid left over in the pot. I processed it and ended up with three 1/2 pint jars of basting liquid. A bonus. Can’t wait for November to try them. I’m dying! I made these a few days ago. Waiting a month to try them is killing me, but I have to let them mello bc I am a whimp! But…I DID take your suggestion and use the leftover syrup as a marinade. I was in a rush but wanted to prep a dinners ahead of time. I soaked 3 chicken breasts overnight in the pepper goo. The Hubster grilled them tonight. We were so afraid they’d be too hot to handle. So glad we tried it. Just Excelkent. A slight zing and so flavorful. Already wondering what I can put it on tomorrow! Thank you! It’s that time again!! Ever since finding your recipe for these I can them in bulk You are so right once you get people hooked they are an excellent bartering item lol. So I have a suggestion of yet another delicious way to eat them. I was slightly obsessed with making homemade bagels this winter and while making a batch my son started eating some of the candied jalapeños. So I threw a handful in to the mixer (KAF plain bagel recipe) and holy delicious I made a dozen to take to work along with cream cheese that I also added chopped jalapeños to, i get requests constantly to remake them. Very yummy. Thanks for all the yummy recipes !! Can you use frozen jalapeños? I have a lot that I froze from my garden..
Hi Tammy- I would not advise using frozen peppers. I don’t think they’d hold up texture-wise to the process. What do you think of substituting okra if we don’t have a full 3 lbs of jalapenos? Hi Anna- This recipe is tested using jalapenos, so I can’t speak to whether okra would work. I’m also not sure of the relative acidity of okra, so I can’t speak to whether it would safely work. Made this last summer. A family favorite. Had to plan ahead for this summer and grow extra plants. I had trouble with this recipe, and maybe you can tell me where I went wrong. I had 1/2 the amount of jalapeños. So I plugged that in and went with the numbers it gave me, basically cutting everything in half. I was using the 4 oz jars, but by the time I had them all packed in the jars I was VERY short of liquid. I don’t know if my jars were not packed full enough. They were full, but by the time you put the liquid in they float to the top and only look 1/2 full, OR if I should have made a full batch of the liquid. But in the end I had to make 3 batches of the liquid to cover my jalapeños. — Also, question: does the heat mellow while they set for the 4 weeks? (They seem pretty spicy right now) Thanks! Hi Emily. Wow. I’m trying to figure this one out because there is usually leftover liquid in the full batch… a significant amount, really. So let’s see if we can figure this out. When you filled the jars, did you let the jalapenos fall in and sit? Or did you press them down to fit more in? It sounds a little like they weren’t pressed in there if they were floating. When you halved the recipe, how many four ounce jars did you get? Because the full recipe usually yields 4 to 6 half-pints (8 ounce) or 2-3 full pints (16 ounces.) And the heat absolutely mellows somewhat as they sit. When they come straight out of the pot they’re downright incendiary! The candied jalapeños are so good….compliments all the time……can I use left over syrup right away or have to wait also for couple of weeks? You can use the syrup as soon as you’d like! I’m glad you like these! Can this recipe be made with red jalenpenos? Will they be cooler or hotter? You can definitely make it with red jalapenos. Sometimes I do a mixture since that’s what my local farmer has available. I don’t know whether it will change the heat appreciably one way or the other. Each individual jalapeno is such a little roll of the dice heatwise! Thank you for sharing this recipe. This is now the second year we’ve canned these little jewels. It is a new family tradition. And you are right, people do beg for jars. I am new to canning. I was wondering if there is a way to make jelly with some of the leftover juice? I did find a recipe with Sure Jell but I wasn’t sure if the leftover juice I have has enough sugar to make the recipe. Has anyone ever shared a recipe with you and roughly how long would I need to process it? I haven’t canned in years but my kids love jalapeños. So I am going to try these. I am sure they will be good. also, my wife and i used the left over base from the peppers and added some to ranch dressing. Liked the kick it gave the dressing. Do you think brown sugar can be used in place of white sugar? As a type II diabetic, six cups of sugar looks lethal. Can I do the usual 1:2 substitution with stevia? Hi Mjs! I don’t actually have experience in canning with Stevia and am unsure whether that would be a suitable/safe canning substitution. Please check with your local cooperative extension to see whether that is a good idea! Could I use a variety of Hot peppers all mixed together, as long as they were cut about the same? I have Jalepenos, Habaneros, Poblano, etc. I canned 4 batches of these yesterday because my daughter wants to give them away as Christmas gifts. I ended up with about a gallon of syrup left over. I live a keto lifestyle, so the is no way I am going to be able to use that at home, but I just can’t bring myself to pour that deliciousness down the drain. I am wondering if you have ever used the leftover brine to pickle anything else, and if so, do you have suggestions? I am thinking it would be delicious over peaches, or even mixed garden vegetables. Just thought I would check. Absolutely, Terry! A friend of mine makes refrigerator pickles by filling a jar with super thinly sliced cucumbers and onions. She pours leftover syrup over it and lets it sit in the refrigerator for a couple of days. They’re amazing on salads, sandwiches, hot dogs, and more! Can fresh garlic be substituted for granulated? Hey Whit! Are you anywhere you can get something shipped by Amazon? Granulated garlic is easy peasy and inexpensive there! It’s slightly grainier than garlic powder, so is not given to clumping like powdered garlic would be. I just googled my elevation and it’s actually 1,808 feet where I live. I think you should be fine with my processing times! Best of luck! Can you do a smaller amount, say half the recipe and not hot water process them if you store the jars in the refrigerator after they have cooled? Just an FYI to anyone who is going — like I did — “I don’t need to wear gloves, I’m not a big wimp!” HA! I decided at the last minute I’d better use gloves, just in case… and then just the jalapeno fumes alone gave me chapped lips and a chapped nose for three days. So… consider yourself warned. The second time I made them (the second time in two weeks, lol), I liberally smeared chapstick all over my mouth(…area…), and that helped a lot. I’ve made these several times. I don’t put the ground pepper in it because my jalapeno poppers are very angry. I also use this recipe but with about 5# of peppers. No left over juice. Makes 6 1/2 pints. I made these a couple of months ago and they are amazing!!! I didn’t double like you suggested so now I’m doing them again. I’m tripling the recipe. Should I triple the sauce as well? These are so good you have to share!!! Hi Vanessa- I’m so glad you like them! I think you shouldn’t have to triple the sauce. Doubling it should be sufficient. And you’re so right. It is hard to have enough of these around. When you say “simmer for 4 minutes”, do you mean bring the boil back and drop to a simmer? This is my first time making these and I’m at this step right now. Might have to chalk this one up as a learning experience if I cook the hell out of them. Hi Bethany- You got it right! You DO bring to a boil then drop to a simmer. And they’ll look shriveled and sad at the end of the process but will plump back up in the jar! Hi Stephanie- I have to say that sounds really unusual. The syrup is still quite liquidy when it is done returning to a boil and added to the jars. To become as hard as a rock, it would have had to be boiled for quite some time until it reached the hard-crack stage of candy making, so I’m perplexed. Did you by any chance forget about it while it was boiling? As for thinning it, I’d stir in some pure cider vinegar once you’ve softened it. I must have left it on the burner while I processed the jars. Thanks for your help! I did as you said and it thinned nicely. I used it on baked chicken and it was really good! Hi Carlene- Hot peppers can be so unpredictable. These definitely stay hot as they mellow, but become a rounder hot and maybe a little less “burn your nose hairs” of a sort of hot, if that makes sense. And the trouble is that jalapenos are so wildly different from pepper to pepper that it’s super hard to predict how hot they’ll end up. One thing is certain, though, and that’s that these are tasty no matter what! My family loves these on everything, from steak and hamburgers, tacos and nachos, cheese and crackers and everything in between. We somehow lost track of a jar and found it near the 10th month of sitting in the back of the pantry, they are even better in both taste and texture, we can never usually wait that long! I’m going to be making these in larger quantities and hide at least one jar of each batch in the future. Thank you so much for the recipe. I had a bumper crop of jalapenos the summer of 2016 and had over 3 pounds of whole frozen jalapenos from that harvest. I saw other commenters asking if this recipe would work with jalapenos they had frozen, and I’m here to tell you IT WILL! I made them a couple of days ago and followed the recipe except had no granulated garlic, so used fresh. I got 6 half pints. Opened one jar the day after processing to sample, and they are delicious! Spicy, but not too spicy for my taste. I’m looking forward to trying it with fresh-picked jalapenos this next season, because if they’re this good using frozen ones, I’m thinking they’re probably even better with fresh-picked. Just busted into the first jar. OMG!! Angels sang!!! First attempt at canning. Huge success!! So there will be many more jars in my future. Waited two weeks after making them, totally get why that is a challlege!! I’ve been making these for years now, thanks to this recipe! Wonderful easy Christmas gift, always appreciated. For loved ones who don’t like the heat, I use this same recipe, replacing the jalapeños with one pound each finely chopped bell peppers, carrots, and onions, and the cayenne with paprika. This “sweet veggie relish” is just as popular as the jalapeños! My hubby loved the first batch I made (3 pints and a lot of syrup left over) so much that when they ran out he said he’d help me make more. So, today, we made a double batch. We only got 5 and a half pints out of 6 pounds of peppers and had a full half of the brine left over. I’m wondering if I could use 4-5 pounds of peppers next time? I’m happy to hear there is someone in the world who loves candied jalapenos as much as I do! I just recently tried them for the first time, and it was truly love at first taste. I will never be able to eat a nacho again without ten candied jalapenos on top of each chip! I am thankful for the recipe! I can’t wait to make some of my very own!!! Every year i make pepper/fruit (jalapeno, Habanero and Carolina reaper) jellies to give as gifts at Christmas time. Last year my daughter asked me to add cowboy candy to the list and directed me to your site. I made several batches of these and man, were they a hit! I am getting a jump on it this year, so i just prepped my first 6 lbs of peppers. I wanted to note that after i was done canning them all last year, i was left with over a gallon of “brine”. I couldn’t bring myself to pour that spicy deliciousness down the sink, so i was trying to think about what else I could pickle with it. I did beets, Apple rings, and peaches. All got rave reviews, but the beets were a big winner. Thanks so much for the great recipe!!! You’re very welcome! And the beets sound magnificent in the leftover brine. I may give that a whirl this year, too! Wonder if I can pickle onions in the leftover juice? I leave out the cayenne . And leave the seeds in. They last a long time if fridge. I don’t can them just hot pak. Awesomeness! I have also use frozen form the year before. Ya really can’t screw it up. Unless you boil over which I did . Make sure ypu have a BIG POT. Watch it! Or you’ll have a mess. If you want to change this up a little add pitted whole cherries. It adds a really nice color and flavor. We made these last summer and rationed them through the winter– my husband was in mourning when he finished the last jar . We had a bunch of cucumbers from the garden at the same time last year, so I poured the leftover syrup over cucumbers and we ate them as “refrigerator pickles” over the next few weeks. Can’t wait to make these again once our jalapenos are ready to pick. When you say granulated garlic ..you mean garlic powder? Double checking. Thanks!! Hi Beth- I actually mean granulated garlic. It’s a similar product to garlic powder, but it a slightly coarser grind, making it easier to mix into liquids than garlic powder which tends to clump because it is so finely powdered. Question: How thick is the syrup supposed to be with the Cowboy Candy (jalapenos) I doubled the recipe as per the suggestion but I would not call the extra liquid syrup I boiled the extra liquid an additional 6 minutes but it was still thin and runny not what i would call a syrup Should i have boiled longer until thick? 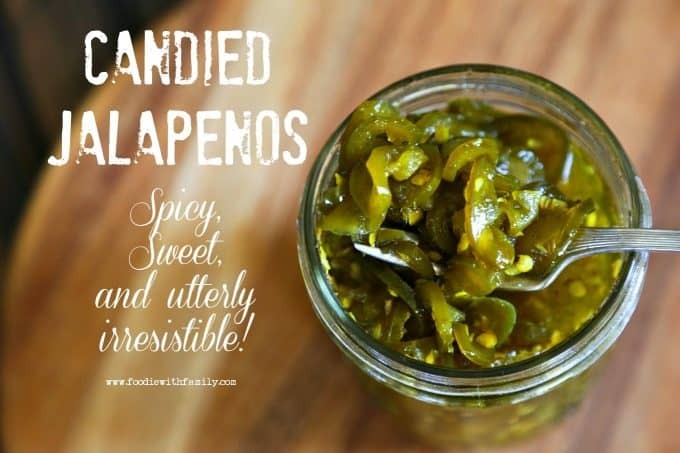 Can you use frozen jalapenos or already sliced from a jar to make these? Hi Jess- I don’t advise either of those substitutions for fresh peppers, because the frozen jalapenos or canned ones will already have the cell walls of the pepper broken down. It really does need the fresh peppers to work. Dojars have to be boiled? Friend use similar receive but puts lids on and set aside Nd they seal from hot liquid contents. Is this safe?thanks for your help. Hi Bill- Welcome! If you want to store them on the shelf, they absolutely need to be boiled. Sealing jars is different than making them shelf stable. While the jars may indeed be airtight if left to cool at room temp, many nasty pathogens that can grow in jars are anaerobic, so even an airtight seal isn’t enough. When we boiling water bathe jars, we bring the temperature all the way to the center of the jar to a certain level for a certain amount of time which kills any lingering botulism toxin (or other nasty things) so they aren’t even there to reproduce. That was a great question! If you really don’t want to process them in boiling water, you can always stash them in the back corner of your refrigerator. It won’t last a year, but that’s the only safe way to skip the boiling! Can you use white vinegar? Absolutely! It’ll be slightly different but still delicious. Can a sugar substitute such as Splenda be used? Just thinking of Diabetics out there. Hi Cameron- I would not add in a sugar substitute for a couple of reasons. I don’t find them stable in the canning process but more importantly, and this is a big one, sugar has a preservative effect in the canning process and I’d be suspect about taking it out because of that. Additionally, sugar contributes to the final texture of both the peppers and the syrup. So all in all, I get where you’re going with it, but I’d be concerned about doing that. Admitting up front I have not read a single comment, I wanna say I just made a 1 pound batch with fresh pickled and roasted jalapenos and it is incredible. I’m saving this recipe and going out to get 6 pounds of jalapenos. If anyone else has already done it roasted, I’m here to confirm it’s a very good idea. I tried some candied jalapenos at a food expo and flipped over the flavor. I immediately went home to get me a jar or two and flipped again when a quarter point jar was $12! So my wife says ” just make your own” and I did. My first time canning anything and it couldn’t have been easier (with the help of my lovely wife of coarse). I made the two weeks ago and yes had to pop a small jar open at my daughters birthday party. All my family loved them and I sent them each hope with a small jar. With how good they are now, I can’t wait to see what two more weeks will do to the flavors. On a side note, I just poured the left over juice in a bag with some top round strips to smoke into jerky. We will see how that works out. To summarize: awesome recipe, easy process even for newbies, unbelievably good at two weeks, rumored to be better at 4 weeks, possible marinate for jerky. I’m glad you loved them, Justin! And thank you for the great rating! Could this recipe be cut in half and still safely canned? I’ve never had candied jalepenos but I’m very intrigued. Is it OK to reduce the sugar to 4 cups? Can I use Banana peppers with the Jalapeno peppers? About how many peppers are in a pound? Hi Theresa- I have not tried this with banana peppers. The thing I’d tell you to keep in mind most of all when subbing in other hot peppers is that you want to be sure it’s a super-fresh, thick walled pepper you’re using. From a food safety stand-point, one pepper is much like another ph wise, so play away! As I type this, I just heard the delightful popping sound of sealing jars in my kitchen! I just made a batch of these candied jalepenos, and your recipe and directions are wonderful! I had the most beautiful jalepenos in my garden this year. They were “Mammoth” variety jalepenos and produced so well. We had lots of rain this summer in middle Georgia and it was a great growing season. I have set a reminder on my calendar for October 8th – the one month unveiling of my first batch. I love the smell of fresh jalepeno peppers and I tasted a tiny sip of the leftover syrup I poured over in the last step before the water bath – wow, so good! Thanks for sharing this recipe. I searched the internet and this one sounded the best and I believe it will not disappoint! Thank you again. Well, the unveiling of these wonderful jalepenos was much anticipated! We waited a full four weeks and my husband said, “hide them now!” These won’t be given away! Thanks again for the recipe. It’s a keeper! Should I leave the jalapeños out on the counter after I’ve prepared them, or refrigerate? I’ve made these before and this is also a Great recipe! But I didn’t know I had to wait up to 4 weeks to enjoy! I tried them when they were cooled down the next day! I will try to wait this time. Thank you! Curious about using a mixture of hotter peppers. I don’t have enough jalepenos off of the one plant in the garden, but I did plant a mixture of hotties. What do ya think? Crazy? Can you sub powered garlic for granulated garlic? I can’t find granulated. Where have you found it? Can you use fresh? Planing on making these for Christmas. Hi Carmen- I order granulated garlic from amazon. Here’s a link. If you’d prefer not to do that, I’d rather you subbed in fresh garlic than garlic powder because of the clumping tendencies of garlic powder. Thanks so much, Tisha! You made my day letting me know that!! How can I incorporate agave into this recipe? Would you substitute the sugar with agave? Hi Roxanne- I’m afraid I haven’t tested it with agave, so I can’t give you guidance on how much to substitute. I will be making these tomorrow. Peppers are sliced and chillin ‘ in the fridge, ready to go. I was just wondering about the turmeric. Is it essential? I have it but some people don’t like the taste. What role does it play as most recipes for cowboy candy do call for it. Hi Theresa- I use turmeric for colour and flavour. It’s not super present in the end product flavourwise, but is very subtle. This recipe is simple and easy. It worked perfectly the first time I tried it. (It was my first attempt ever at canning anything.) Variations since include diced, chopped fine, chunked, and mixed with onions. My wife prefers chopped fine on hamburgers and sandwiches. I have also found that slightly reducing the leftover juice and adding Suregel produces excellent jalapeno jelly. Thank you so much for letting me know how much you like them and sharing that cool tip about the jelly, John!! Thank you, too, for the excellent rating! You probably can, Marsha, but it might effect the overall end texture of the jalapenos. Because they’re acidic enough in their syrup, I was happy to water bathe them. Has the PH of this recipe been tested after all said and done to make sure it’s low enough to prevent botulism? (I LOVE them BTW). I’ll feel better knowing they’re tested safe. Have you ever had anyone use Splenda instead of sugar? I just made a batch today, and I’m wondering what the outcome will be. I haven’t personally tried it, so I’ll be curious what your results are! I just made these yesterday, had extra sauce and put on my egg bites this morning….Well we couldn’t wait for 2 weeks, let alone 4 and had to try them…..Yummy!! But there is quite a bit of heat….if we wait the two weeks or 4 will the heat not be as tense? Amazingly delicious. I’m a beginner as far as canning goes. I was happily surprised at the results. We tried them at week 2 and they were good but much better at week 4. Thanks for letting me know, Marsha! I’m so glad you loved them! A friend of mine gave me a little jar of the liquid because she had so many. But I had never heard of these before so I don’t know what to try it on! Any other ideas for using up the leftover liquid? Hi Nina- I love brushing it on meats and vegetables when I grill or roast them, but a friend of mine grabbed some English cucumbers at the grocery store (a.k.a. seedless cucumbers), thinly sliced them, and plonked them into the syrup for a couple of days. They made a fantastic addition to sandwiches! I used this recipe after a co- worker said how easy these were to make for a beginner canner. OMG! Surprising easy recipe and 4 weeks later, my family killed 3 jars in one week! Three jars in one week!?!? Wow! You guys are like my husband! I’m so glad you love them. Can you replace the sugar with honey in this recipe? Hi Penni- I have not tried that! I have made the recipe numerous times now, give most of them away and everyone always want more.. I also discovered that the left over juice is a perfect marinade for chicken or fish. When marinating chicken wings I add Hys seasoning salt, lots of fresh chopped garlic, cayenne pepper, paprika and any other salt or spice you have.. Put chicken wings and marinade into a ziploc bag with all the air sucked out for 24 hrs.. Thanks, Bill! That sounds incredible. I think I might do that with some drumsticks!! One of my favorites for topping burgers and chili! Same here, Jamie! I’m glad you love it! These were fabulous! Thanks for the great recipe! My husband loves these candied jalapenos! If you aren’t canning it, does it still need to sit 2 to 4 weeks? If we’re making these for the fridge do we need to let them sit for 2 weeks before using as with canning? Thanks! Hi Robin- These do indeed need to be refrigerated if you do not process them by canning. One thing I learned when making these the first time was the burning of my eyes when the peppers hit the simmering syrup. Yeowsa! Also, I used the leftover syrup to make pepper jelly. I cried when I used the last of it, it was amazing. Can I make these with jalapeños that have already been processed in just the vinegary liquid, like you buy in the store? Do you have a complete nutritional list so I can see how many carbs, sugars, and fibers there are? I love these little green jewels and want to keep them in my diabetes prevention diet. I have created a candied jalapeno pie and need to factor in the actual jalapenos. Thanks! Like I said, these numbers presume you’re consuming all of the syrup with the peppers, which you likely will not do unless you’re pouring it into a glass and drinking it. 🙂 Unfortunately, that’s as specific as I can be because I’m not a nutritionist. I have an abundance of peppers from my garden in the summer so I freeze them whole. Would they work in this recipe? Hi Lorraine- I’m afraid the frozen peppers won’t work here because their cell walls have already been broken down by freezing. I believe the frozen peppers would turn to mush if they were then processed in the syrup and jars. I made these in December 2017, and forgot all about them until today. Being over a year old, I thought they’d be soggy and lame, but they’re still crunchy and full of fire. I love them! Thanks! Hooray, Aubrey! Confession time: I found a 2 year old jar I had stashed to hide from my husband so I’d have some on hand for tacos on some cold winter night and forgotten about it. The good news is those 2 year old peppers were still divine! I can’t wait to try these. I recently did Jalapeno Quail legs and luckily had a jar of jalapeños I had bought. Now I can make my own. My husband and I just discovered candied jalapeños on a sandwich at a wonderful little bistro in Central Vermont yesterday, so I went online to find a recipe. We cannot wait to try this out with our pepper crop this year! Thanks so much! Yeehah! I’m so glad you’re here, Cassie! Welcome to the candied jalapeno club! Please allow me to join your wonderful site! Hooray! Let me know how it goes for you, Jerry! Happy Canning! I made them and couldn’t wait to try them, I made it 24 hours and had to crack open a bottle, they are great on grilled Brats with sauerkraut, I will be making more. I LOVE these. I add a few different “hotter” peppers like cayenne or Thai for a splash of colour and a more intense heat. I also hope for excess of the liquid, as it makes an outstanding glaze for ham. My new go-to burger topping… it opens up a whole new palette of condiments that I usually would leave off. And my most recent obsession; cast iron corn bread with these incorporated both in the bread and as a compound butter.